How did 5 men spend nearly 30 years in prison combined without ever being charged with a crime? Imagine spending years in prison without being charged with a crime or knowing exactly what you’re accused of. 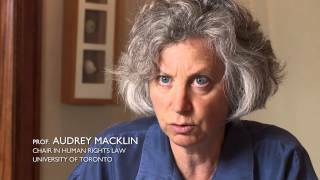 A film about the human impact of the “War on Terror,” The Secret Trial 5 is a sobering examination of the Canadian government’s use of security certificates, a Kafkaesque tool that allows for indefinite detention without charges, based on evidence not revealed to the accused or their lawyers. Over the last decade, this rare and highly controversial device has been used to detain five men for nearly 30 years combined. To date, none has been charged with a crime or seen the evidence against them. Through the experience of the detainees and their families, the film raises poignant questions about the balance between security and liberty. Amar is an emerging filmmaker based in Toronto, Canada. He was born in Bombay, India, and moved to Toronto with his family at the age of 11. He has a degree in Film Production from York University, and believes deeply in cinema’s ability to create awareness and facilitate change. His short film, The Good Son (2008), had its world premiere at The 4th Annual Dubai International Film Festival, and went on to screen at festivals around the world and win several awards in Canada. The Secret Trial 5 is Amar’s first feature film. Noah is an emerging filmmaker based in Toronto, Canada, with a passion for cinema that humanizes complex social issues. He was born in the United States and moved to the GTA with his family at the age of 5. He holds a degree in Film Production and International Development Studies from York University. Noah is also a Founding Board Member of Good Evidence, a non-profit organization that challenges harmful representations by showcasing inspiring models of community based action on social, economic and environmental issues. Madeleine has worked on number of documentary and narrative projects as producer, researcher, and writer, including two independently produced shorts of her own. She holds an Honours BA in History and Contemporary Philosophy from the University of King’s College in Halifax and a MA in History from the University of Toronto. This is her first feature film. Darby’s narrative work as a film editor has been celebrated internationally at film festivals worldwide as well as in his native Toronto at the Toronto International Film Festival, Reel Asian International Film Festival and the Canadian Film Centre’s Worldwide Short Film Festival. Notable film credits include Banana Bruises (2007), Soap (2009) and Miklat (2013). In the documentary sphere, Darby developed his craft working under one of Canada’s finest documentary film director/editors, Michèle Hozer. It was during these years that Darby refined his philosophical approach to post-production while learning the meticulous inner workings of the entire post-production process, working on some of Canada’s most widely distributed and recognized documentary films, such as Triage (2008), the Glenn Gould biography The Genius Within (2009), The Team (2010), The West Wind (2011) and Fight Like Soldiers, Die Like Children (2013), all produced by the award-winning production company White Pine Pictures. Darby’s favourite band is The Clash. Julian is the designer and entrepreneur behind the motion design studio ON THE CHASE! In its first five years, OTC! has won international awards and collaborated with diverse clients ranging from award-winning filmmaker Sarah Polley (Stories We Tell) to high-profile non-profit MaRS Centre. Julian has been profiled in design industry magazines Applied Arts and Design Edge as a rising young talent, and had work published in Canada, the UK and Japan. He serves on the board of the Association of Registered Graphic Designers (RGD) and is a graduate of the York/Sheridan Design Degree program. Jeff Morrow started his musical career as a jazz trombonist. Now an accomplished composer for film and television, his work can be heard on more than thirty television shows for CBS, CTV, PBS, TVO, MTV and Teletoon, and in many films including, most recently, Cold Feet directed by Daniel D’ Alimonte and Anatomy of Assistance directed by Cory Bowles, which premiered at TIFF. His work also includes numerous advertising campaigns, viral videos and concert pieces. Jeff was selected as one of two composers in residence in the inaugural year of the Canadian Film Centre Slaight Music Lab, headed by Oscar-winning composer Mychael Danna. 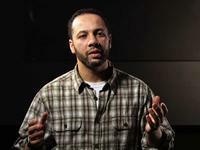 Moroccan-born Adil Charkaoui was arrested in 2003 under a security certificate. Mr. Charkaoui is married with four children and is currently working on his PhD in education from the Université de Montreal. He spent 21 months in prison without charge and over four years under house arrest before winning his case in 2009. He is consequently suing the Canadian government for over $20 million. Mr. Almrei was born in Syria, and came to Canada in 1999 as a refugee. He was arrested shortly after 9/11 and spent seven years in jail without charge. After an additional three years under house arrest, Mr. Almrei won his case in 2009. He is also suing the Canadian government. Mr. Almrei currently lives in Mississauga, Ontario. Mr. Jaballah was a school principal in Scarborough, Ontario when he was first arrested in 1999. 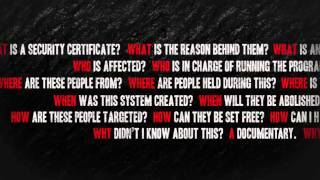 The father of six is the only person in Canadian history to endure three security certificates. After his first certificate was dismissed in 2000, a second certificate was issued in 2001. He spent over six years in jail without charge, and is now living under house arrest in Toronto. Mr. Harkat was arrested under a security certificate in 2002. He spent 43 months in jail before being released under strict house arrest conditions in 2006. Mr. Harkat was recently the centre of the second Supreme Court challenge against security certificates. A decision on the status of his certificate, as well as the law surrounding it, is expected in spring 2014. Moe lives in Ottawa with his wife Sophie Harkat. 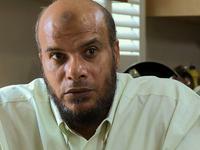 Mr. Mahjoub spent seven years in jail with no charges before being released under house arrest in 2007. In 2009, he made headlines by asking to be returned to prison, saying the house arrest conditions were too damaging to his family. Mr. Mahjoub declined participation in The Secret Trial 5. He currently lives under house arrest in Toronto. Our supporters are who made this film possible! Here are just of a few of generous people who gave us their support, and without which we would have had no chance in getting this project complete. Imagine spending years in prison without being charged with a crime or knowing exactly what you’re accused of. 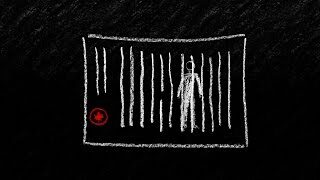 A film about the human impact of the “War on Terror,” The Secret Trial 5 is a sobering examination of the Canadian government’s use of security certificates “Unflinching” – The Toronto Star » this rare and highly controversial device has been used to detain five men for nearly 30 years combined. To date, none has been charged with a crime or seen the evidence against them. To date, none has been charged with a crime or seen the evidence against them. “A must see…” – The Huffington Post » Through the experience of the detainees and their families, the film raises poignant questions about the balance between security and liberty. Imagine spending years in prison without being charged with a crime or knowing exactly what you’re accused of. A film about the human impact “What they’ve been through is astonishing” – The Globe and Mail » the human impact of the “War on Terror,” The Secret Trial 5 is a sobering examination of the Canadian government’s use of security certificates, a Kafkaesque tool that allows for indefinite detention without charges, based on evidence not revealed to the accused or their lawyers. ★★★★ – NOW Magazine » Over the last decade, this rare and highly controversial device has been used to detain five men for nearly 30 years combined. To date, none has been charged with a crime or seen the evidence against them. Through the experience of the detainees and their families “The film has an irresistible emotional punch” – The Film Experience » the human impact of the “War on Terror,” The Secret Trial 5 is a sobering examination of the Canadian government’s use of security certificates, a Kafkaesque tool that allows for indefinite detention without charges, based on evidence not revealed to the accused, or their lawyers. Imagine spending years “The Secret Trial 5 is an essential and compelling Canadian story.” – Cinemablographer » in prison without being charged with a crime or knowing exactly what you’re accused of. A film about the human impact of the “War on Terror,” The Secret Trial 5 is a sobering examination of the Canadian government’s use of security certificates, a Kafkaesque tool that allows for indefinite detention without charges, based on evidence not revealed to the accused or their lawyers Secret Trial 5 “Meticulously researched, surprisingly balanced … and superbly crafted” – The Film Corner » Through the experience of the detainees and their families, the film raises poignant questions about the balance between security and liberty.